We’ve already posted about Eugene Kaspersky and about a hundred other people being on their way to the Antarctic. Well, neither Eugene nor his travel companions do such things on a regular basis, so you have to figure there’s a reason behind it. There is: We are sponsoring the Antarctic Biennale. The Antarctic Biennale Expedition brings together approximately 100 participants — artists, researchers, and visionaries from all over the world — to explore and to think about a universal cultural future for Antarctica as a model of other “shared spaces” such as Ocean and Outer Space. The art expedition started in Ushuaia, our planet’s southernmost city. Alexander Ponomarev, artist, philosopher, and the project’s leader, believes the journey will be “a revolution that changes the vector.” The core idea: a paradigm shift for the artists. Drop the usual pavilions of the typical galleries in favor of the icy inaccessibility of the Antarctic. Lose the comfortable apartments in favor of ascetic ship cabins. Antarctic scenery and lots of talks with technical people are also outside of the norm for artists. Each passenger on the ship can take part in discussions, poetry, and philosophy workshops as well as start designing the future in the Antarctic Biennale Vision club. But the most important thing is that each expedition member will be an eyewitness and contributor to the art-making process. Why is Kaspersky Lab sponsoring such an event? Antarctica does not seem obviously relevant to the field of cybersecurity. But we believe in creative people and creative decisions — be they business choices or the projects that we support. The Antarctic Biennale unites both. Artists and scientists from all over the world will fulfill their most daring ideas in the remotest land on Earth. The age of discovery was about geographical exploration, and the Biennale’s journey of discovery will be about opening the doors to cross-cultural encounters and communication, which aims to positively influence international cooperation. Joint work developed by all participants will once again prove that collaboration and coexistence work better than tension and mistrust. Eugene Kaspersky loves both art and expeditions. It’s no surprise he’s on board of the Antarctic Biennale ship as well. Actually, beyond the sponsorship, we’ve contributed to the project in a special way: our mission to save the world has inspired an Argentinean artist and engineer Joaquín Fargas to create the Glaciator. We’re still aiming to save the world from viruses, but the Glaciator will target very, very old ones. This robot will save the world by compressing snow. Does that sound crazy? Here is some background: Since 2003, viruses have been found buried in permafrost, a layer of soil in the Antarctic that is usually permanently frozen (hence the name). Rising temperatures and melting ice could result in the reappearance of ancient deadly viruses. And it looks like all kinds of infection-causing viruses could defrost as the world warms — and, as you probably know, it is getting warmer and warmer. 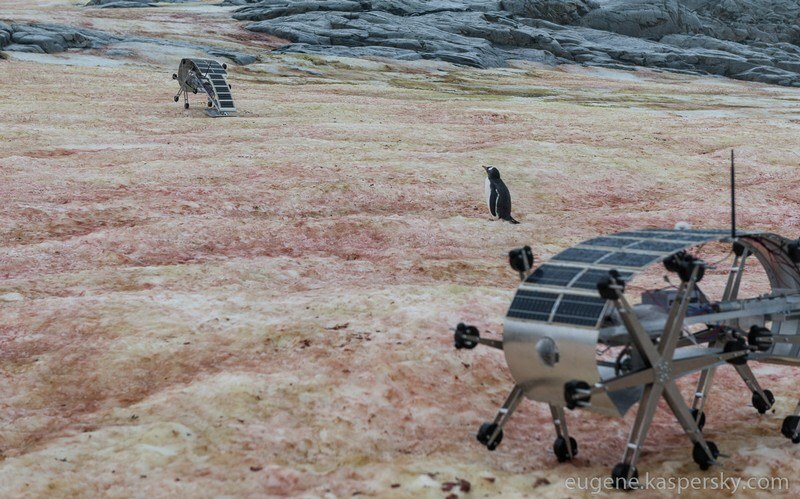 So, Kaspersky Lab is sending a robot to keep the Earth safe from viruses — this time not in cyberspace, but in Antarctica. The Glaciator compresses snow as it steps on it. The robot is a “Firn-Maker.” Firn is an intermediate state between snow and glacier ice. Making firn accelerates the formation of a glacier. And although we believe that being physically disconnected from the Internet makes Antarctica one of the safest places on Earth in terms of cybersecurity, we are not leaving anything to chance: Glaciator is protected by security software from Kaspersky Lab. 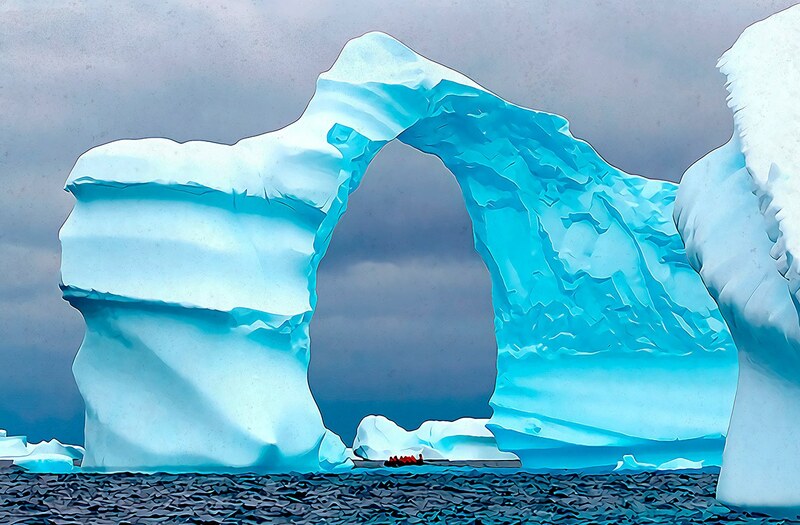 The Antarctic Biennale has just begun — the expedition has left the harbor and just crossed the Antarctic Circle. It’s not easy to work on the ship. While passing through the Drake Passage on the first day, some of the artists started suffering from seasickness, so schedules had to be rearranged. Hey, nobody said it would be easy — and that’s part of the idea. The sea is unusually calm, though, so there is hope that the situation will improve when the participants get their sea legs. On March 20, the expedition crossed the South Polar Circle, meeting foggy, windy, and very humid weather — and its first icebergs. That was also the first day back on land, and troubled stomachs unclenched a bit. A long journey awaits. The ship will harbor near several islands, and then the crew will set foot on the soil of the Antarctic continent. After that, the ship will head to Cape Horn, and only then will it return to Argentina. Of course the participants are taking a lot of pictures, so despite some data and bandwidth restrictions, we decided to live blog the expedition. You can find that here.